I always fancied myself to be the type of pregnant woman who would enjoy a glass of wine or beer. In fact, I believe that a little booze now and then can, in theory, be a healthy thing in pregnancy. But, despite my attitude toward drinking and pregnancy, I have not had a single drop of alcohol this entire pregnancy. I just can't. The problem is that what if, god forbid, something went wrong and it happened to fall on a week that I drank. I don't want to blame myself, and so I have found abstaining from alcohol has been the way to go for me. That, and I really don't drink that much when I'm not pregnant, and I haven't felt the urge to drink, minus the occasional craving for a dry chardonnay, but really I wanted to have the chardonnay while out to lunch, outside on a sunny day. Since it's winter, this craving could not be satisfied. However, I was really, really hankering for some venison bourignon (I make a version of Julia Child's beef bourignon recipe with venison that just warms my toes!) and it called for wine. God love me, I might not want to drink the damn wine, but neither do I want to waste the damn wine. So, for this reason, which in so many ways seems illogical, I didn't want to buy a full a bottle of wine. 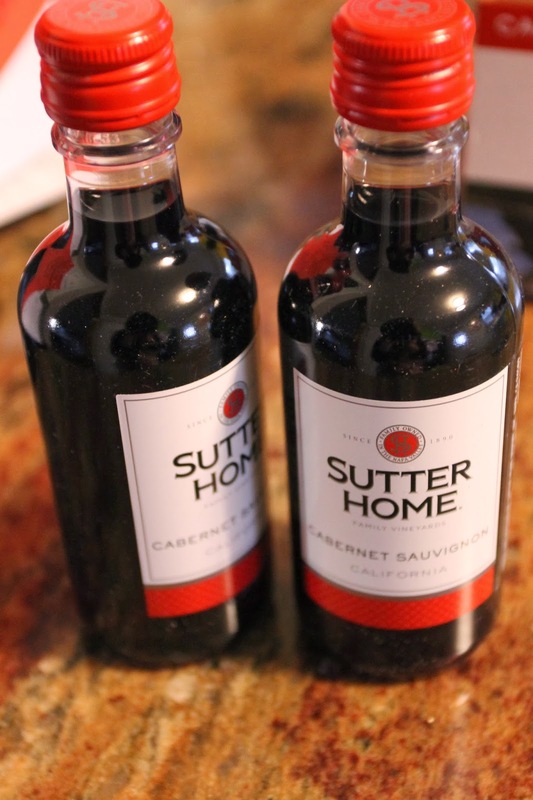 When my sister-in-law was here for the holidays, she purchased a bottle of wine and drank all but two cups and left it for me. I thought to myself, "problem solved!" and I was all ready to make my recipe. Then I came home one day from canning, and the bottle had mysteriously disappeared. My husband said he didn't throw it out....and my father-in-law had been over to feed my chickens that day. I'm not saying he drank it. I'm just saying that these things all happened on the same day: father-in-law over for feeding chickens, disappeared bottle of wine, husband didn't throw it out. Either way, once again I was in the position of having to buy wine to execute this recipe. My solution was to buy the mini-wine four pack. Now, I don't know about the rest of you, but to me this seems like the perfect solution. I can use exactly what I need and put the rest of the mini bottles in my bar for my guests! This way, when someone not pregnant comes over, I can still offer them something to drink and the wine won't be wasted. At $6.99 a four pack, this seems a totally awesome solution to me. What about the rest of you? Do you have an cooking booze (pregnancy) conundrums that had you stumped? How did you solve it?